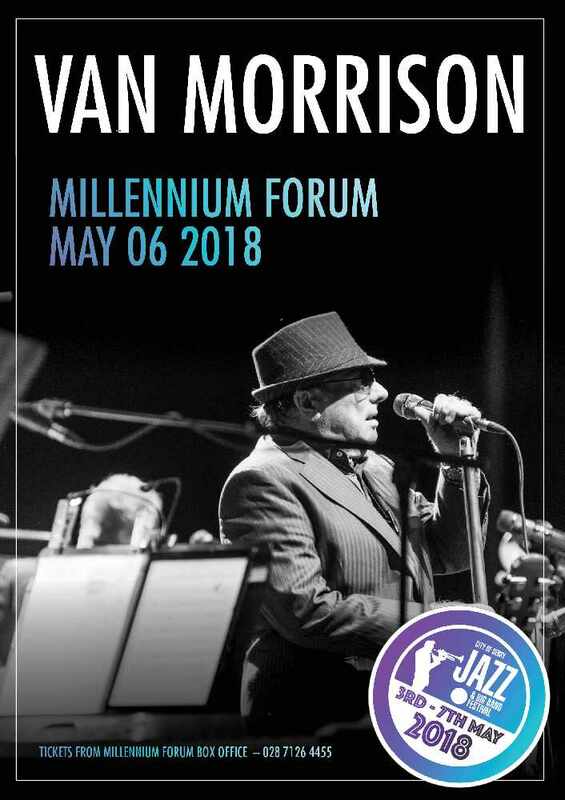 Music legend Sir Van Morrison will return to the Millennium Forum on Sunday 6 May as part of this years City of Derry Jazz Festival. It's set to be a very special performance by the Belfast singer. Morrison will be showcasing songs from his most recent studio albums Roll with the Punches and Versatile - as well as dipping into some of his greatest and best known hits from undoubtedly one of the most revered back catalogues in music history. Tickets go on-sale THIS Friday 19th January 2018 at 9am. More details below. Late last year Van Morrison released two albums, Roll with the Punched and Versatile, positive proof that Van Morrison is built differently to other artists. One of very few British recording artists to warrant the description ‘living legend’, Van is currently working at a rate to put musicians a third of his age to shame; an ethic that harks back to his early days as a recording artist who’d easily release multiple brilliant long players within the space of a year. While Roll with the Punches saw Van revisit many of the definitive rhythm and blues records that have stayed with him all his life, Van’s latest album Versatile, sees him delve further back into recorded music’s archives to interpret some of the 20th century’s greatest vocal jazz standards. Tickets can be purchased via the box office at the Millennium Forum, Derry, online here or by telephone 028 7126 4455.